Blue sapphire ring, Godivah design. 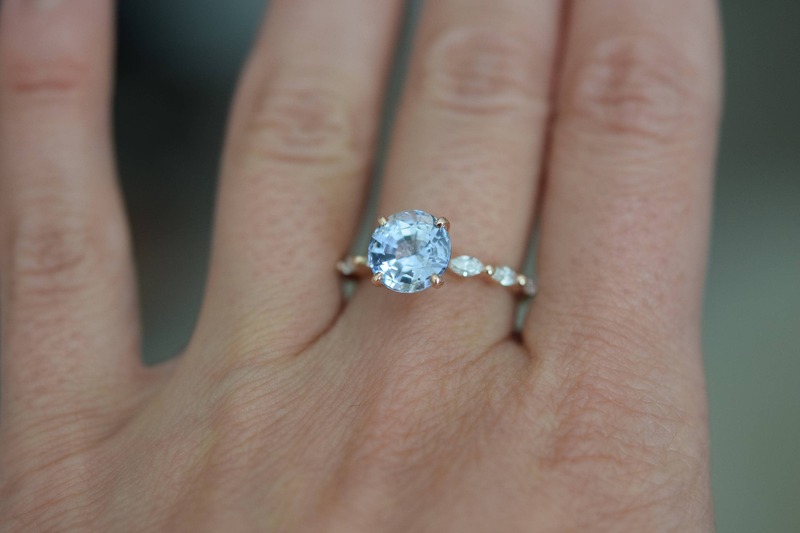 Absolutely amazing sapphire ring! 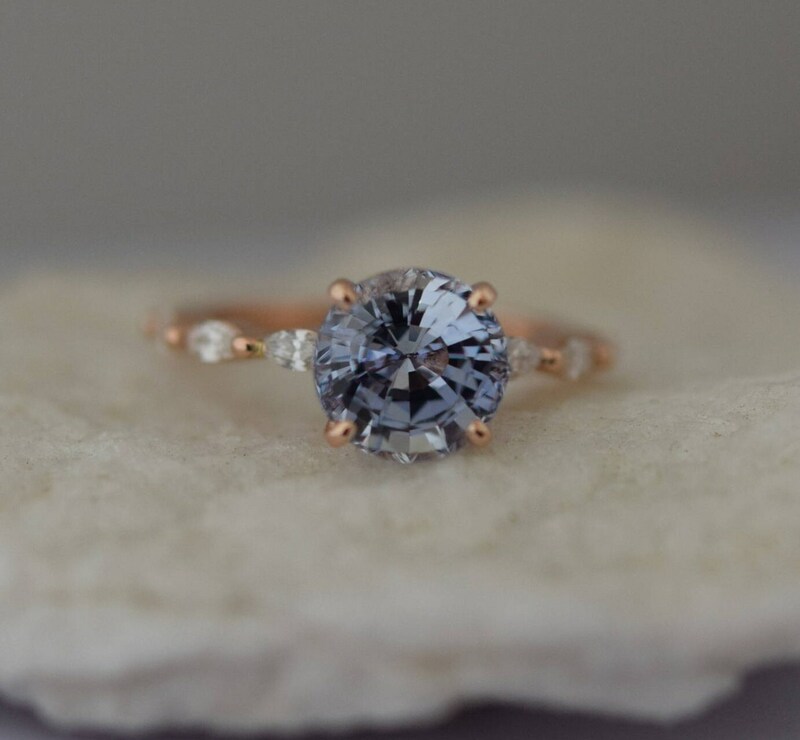 It features a natural non-treated round sapphire sparkling and clean. 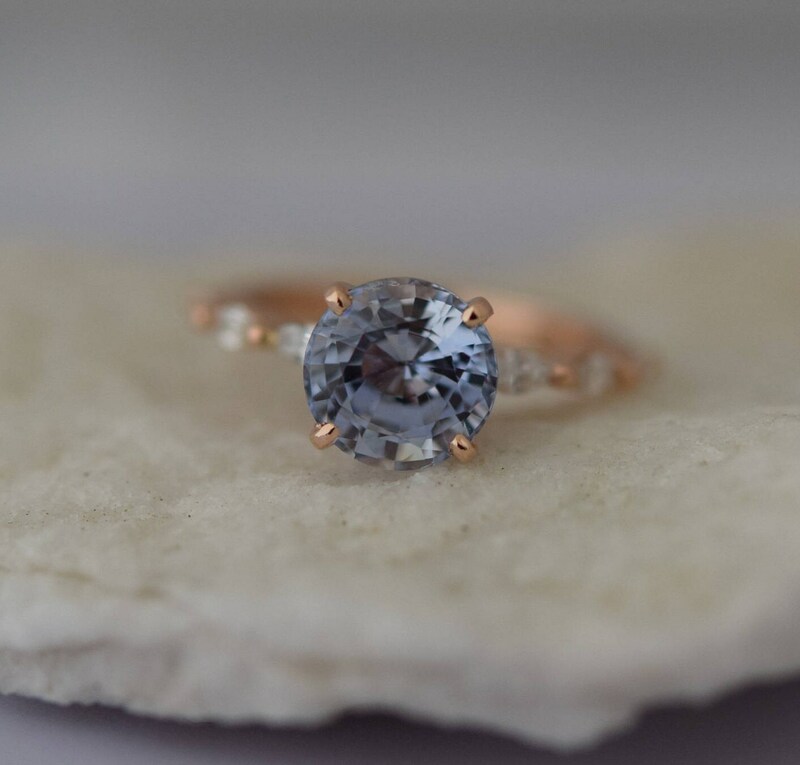 The sapphire changes color from aqua blue to ice blue depending on the lightening. 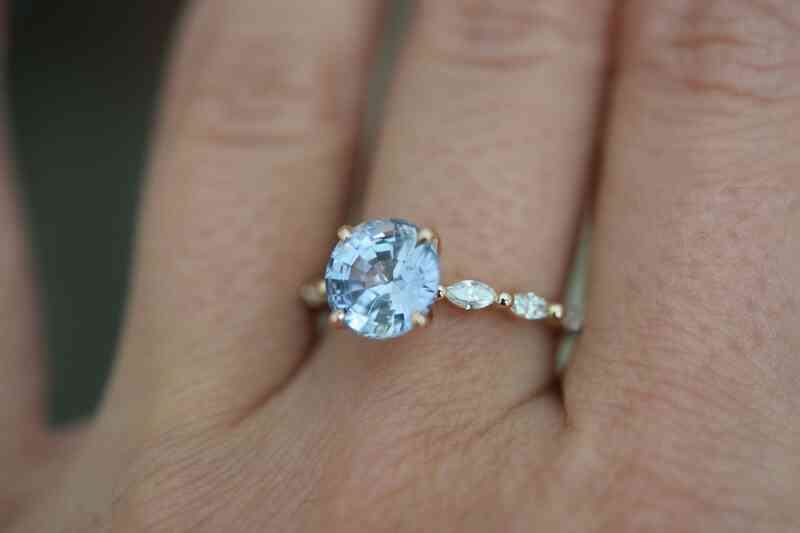 This stone is 3.08ct, eye clean, unheated. 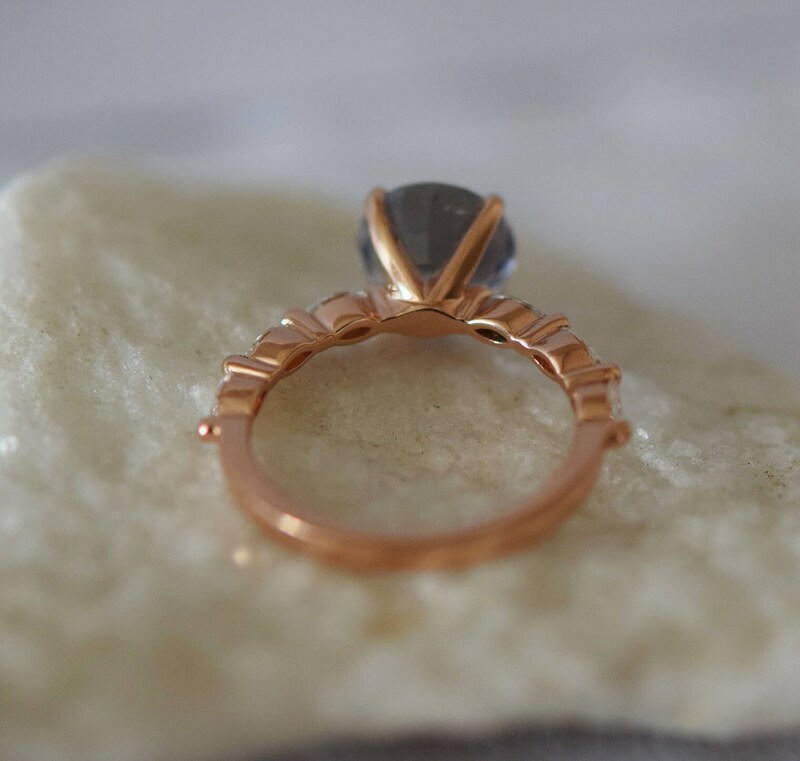 The sapphire set in my signature 14k Rose gold Godivah diamond setting. 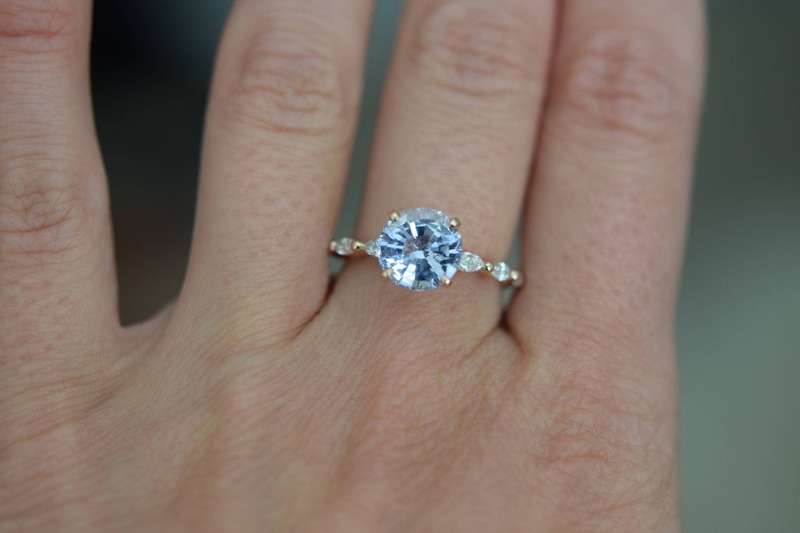 There are 6 natural marquise cut white diamonds in the setting (approx. 2x4mm each). Total diamond weight approx 0.3ct.